We’re delighted to come forward with a new AWR Cloud release which is comprised of several new features, extra improvements, and some much-needed info on GDPR. You’ll find that these new additions help us keep true to our goals of staying on top of the latest SEO trends and rank monitoring requirements. After Google confirmed that switching to HTTPS would be considered a ranking factor, web developers and marketers alike started migrating their sites to HTTPS since early 2017, thus joining forces to make the web a safer place. 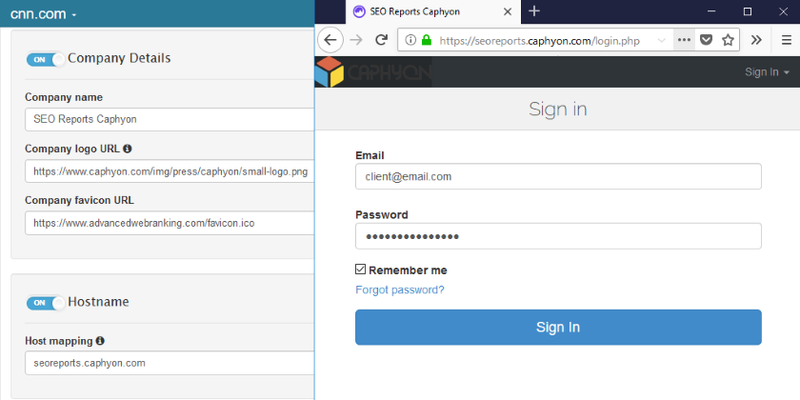 Starting with July 2018, websites that remain on the HTTP non-secure protocol will be flagged with a warning in the URL bar of surfers’ Chrome browser, according to this announcement published by Emily Schechter, Chrome Security Product Manager. As our users know, AWR Cloud web pages, API system and application endpoints were already encrypted and served through HTTPS protocol. But what about using Whitelabel and accessing your account via a custom subdomain? In accordance with Google’s intentions to formally mark websites lacking SSL certificates, we now allow transitioning the custom AWR Whitelabel subdomain to HTTPS. All it takes is to map one of your own subdomains with the proper canonical name, targeting AWR whitelabel. Then we send an SSL certificate request on your behalf to activate and allow HTTPS access for the custom subdomain. HTML and PDFs, live reports, user invites and any direct account interaction – all are accessed using your company mapped subdomain. This comes with a big “Thank You” to all the users who kindly shared their tracking requirements with us. 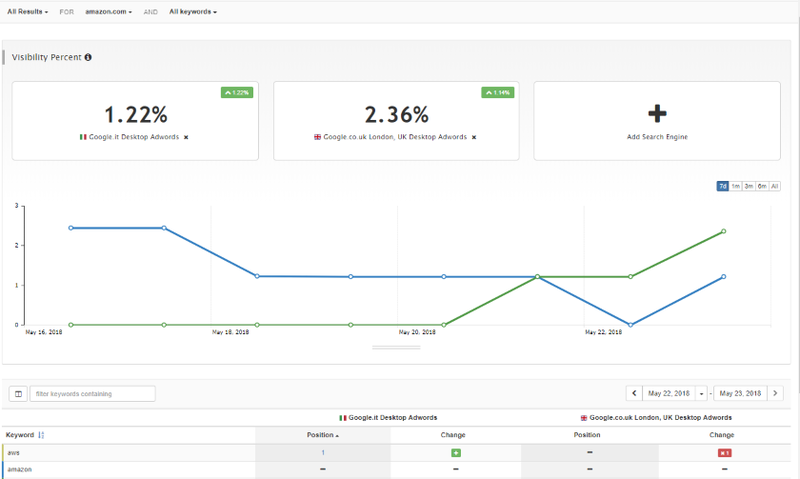 Following the engaged feedback we received about expanding our sponsored results monitoring options, AWR Cloud now boasts an adapted infrastructure to support Google AdWords rank checking in all of AWR’s supported countries. This means that AWR Cloud can now monitor Google sponsored results – both national and local – in more than 120 countries. This allows you to get your paid campaigns performance in line, or take a sneak peak on competitors’ targeted keywords and pursue your goals to get in front of your audience. 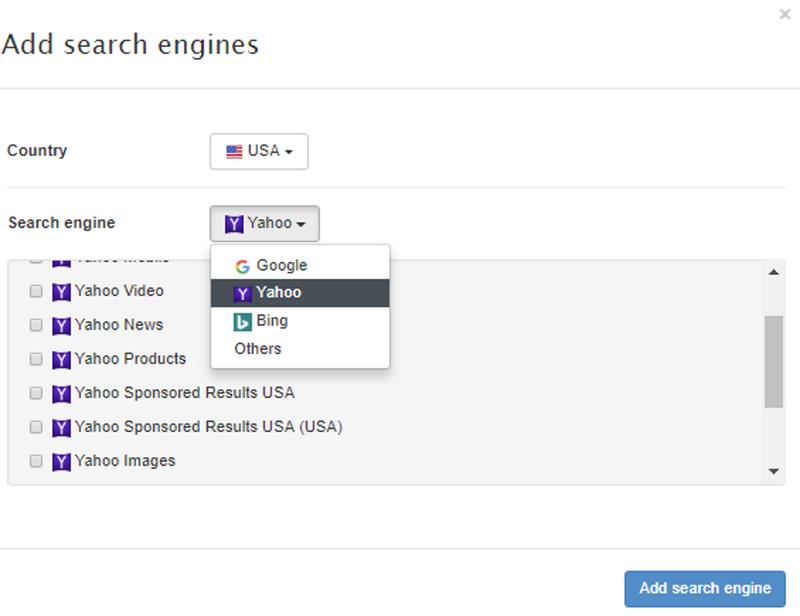 You can also expand paid results monitoring to Bing or Yahoo Sponsored for a fully clear overview of the bidding market on the targeted keyword set. 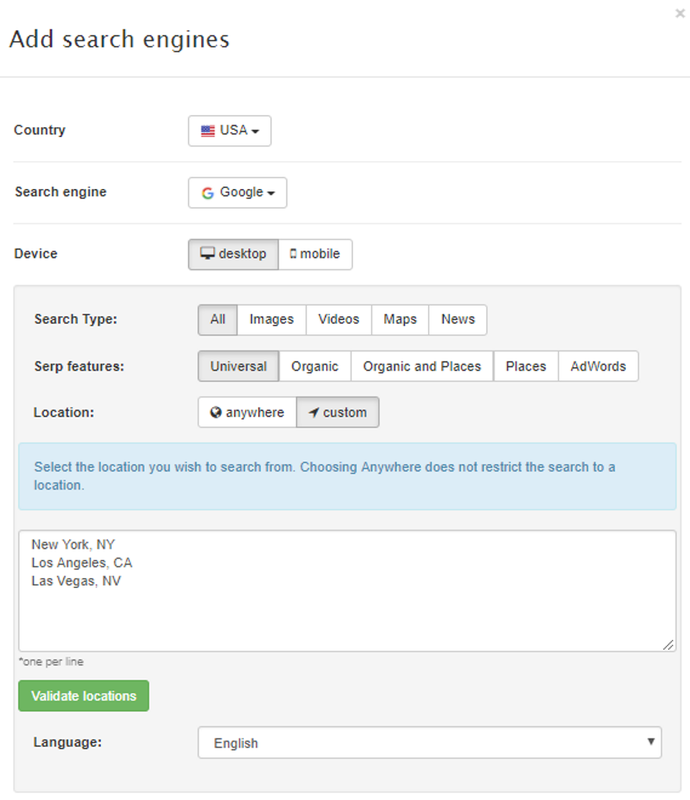 We’ve also sorted the app’s search engine tracking possibilities, making them easier to discover and explore even for new users. Say goodbye to drop-down hidden options – now you can immediately see the advanced tracking features available in AWR Cloud. When it comes to online rank monitoring, the possibilities are now endless in AWR Cloud. All savvy marketers know that focusing on a single website is no longer effective. Having a higher organic position is meaningless if your competitor is listed in, say, an answer box. The SEO game now means acquiring as much visibility in SERPs as possible. Among the SERP Features found in AWR, an Universal search engine enables you access to several opportunities on gaining a competitive edge in the ever changing SEO landscape. Besides the web search results (“All”), AWR also allows you to check rankings from verticals, topical listings such as “Images”, “Videos”, “Maps” or even “News”. Also part of the UI/UX touches that this new release brings entailed getting back to the roots on the app’s search engine naming convention. Now all the options and features available are identical with Google’s own way of naming them, so you know exactly which is which. On a different note, we’ve had phenomenal product response since we began our AWR Beta version at the beginning of the year. It feels amazing to get such qualified feedback from passionate AWR users. We’re incredibly thankful for all your time and help, and we’ll catch up with the latest Beta news in a separate post. Take your time to explore the new features and tracking possibilities. Look out for the next “What’s New” post and, as always, feel free to reach out to us at help@awrcloud.com or leave your thoughts in comments below.